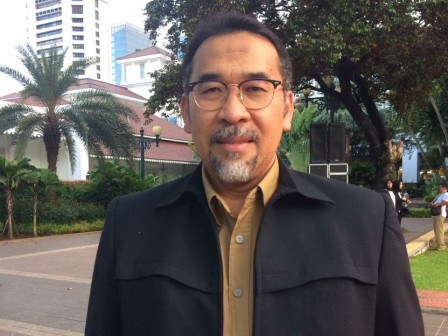 Jakarta Social Department (Dinsos) wants to optimize Sasana Krida Karang Taruna (SKKT) buildings in Jakarta as coworking spaces.
" We hope this coworking space could facilitate youths, especially Karang Taruna members"
Jakarta Dinsos Head, Irmansyah stated, his side has initiated coworking space pilot project at Cempaka Putih SKKT. It provides work environment facilities that offer collaborative, flexible and independent work styles. "Young generations are required to be active, creative, and innovative to compete in this industrial era 4.0. We hope this coworking space could facilitate youths, especially Karang Taruna members, to be more active, creative, productive, and willing to share their knowledge to the others," he explained, Monday (3/25). He considered, this coworking space is also important to facilitate startup businesses to develop. "We want Karang Taruna members to be independent and have a good quality. It would be great if they can help government in creating jobs," he mentioned. In additional to Cempaka Putih SKKT, Dinsos will also prepare Cempaka Putih Barat SKKT, Karang Anyar SKKT, Kebon Kosong SKKT, and Kampung Rawa SKKT to be coworking spaces in this initial stage.